These are the perfect live bands for corporate events, weddings & parties in the South Yorkshire area .... in fact any event where you want to dance all night to rock and pop hits from across the decades! Find the best local function bands in South Yorkshire only at Alive Network, the UK's biggest music agency. Riff Kings are one of Europe's top party bands. Consisting of 5 of the UK's top professional session musicians, they have performed with The Temptations, Percy Sledge, Smokey Robinson, Ben E King, Aerosmith, Peter Kay, S Club 7, Mica Paris and John Parr. Gold; The ultimate function band. This international party band is made up of the highest quality professional musicians, who specialise in performing choice party tracks from the wide ranging genres of Funk, Soul, Motown, Rock, Indie, Pop and Disco. The Brightsides are a vibrant cover band made up of highly experienced professional musicians with many years of performing experience, playing the very best in piano-based rock, pop and swing with lively danceable hits from the 50s to the present day. Checkmate play a unique mix of Jazz, Ballroom, Pop and Latin from the 60s to present day. Ideal for any party whether you are dancing or simply enjoying the music, this 4 piece band have something for everyone! Want help finding your perfect South Yorkshire function band? If you would like assistance finding the perfect live band for your event in South Yorkshire, simply give us a call or submit the quick enquiry form below and one of our talented entertainment coordinators will be happy to assist. With a floor-filling repertoire packed full of infectious Indie, pop, and classic tracks, Episode 23 have been leaving audiences enthralled for over 10 years. Having performed alongside some of the UK's biggest acts including Ash and Embrace this band knows exactly how to get the party stared. 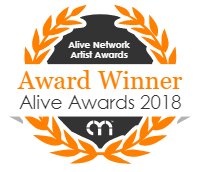 Alive Network are South Yorkshire's largest live music and function band agents and one of the leading live entertainment agencies in the UK. We specialise in providing South Yorkshire's best function bands, musicians, DJs and entertainers for events across South Yorkshire.